Nine-year-old Samantha feels alone in the world. Her mother and grandmother would like to help her, but Samantha is conflicted about whether she can trust them. 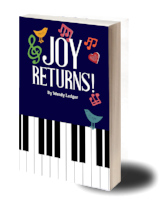 Then she meets Elaine Desmond, a mysterious, glamorous teacher, and Samantha discovers the wonders of music and the magic of the piano. Is this the way to heal her heart?